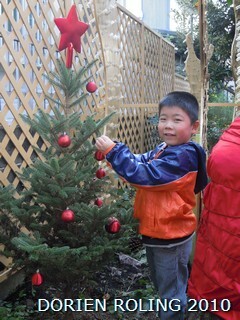 Some more CHRISTMAS EVENT photo's. 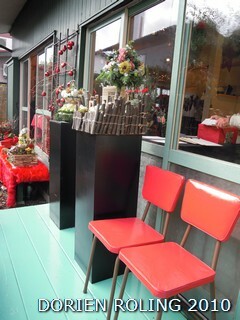 Photo; Natural wave in Christmas red. 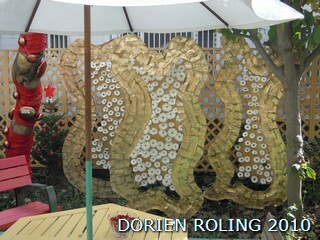 Photo; Horn of Plenty by the pound. 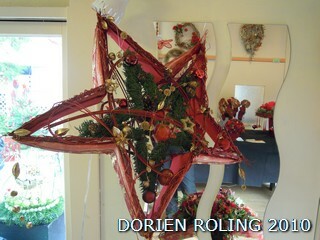 Photo; Christmas design displayed under the roof. How are you on this Friday morning? Heavy rain this morning but 23 degree. 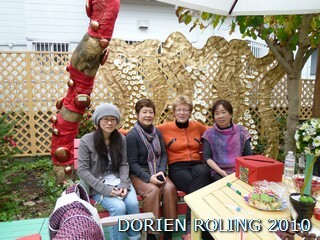 We had a good time 4 of us. THANK YOU VERY MUCH. 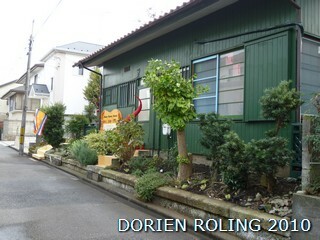 Photo; Atelier outside from street. 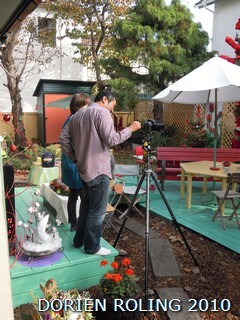 Photo; Atelier outside from street, with red tail. 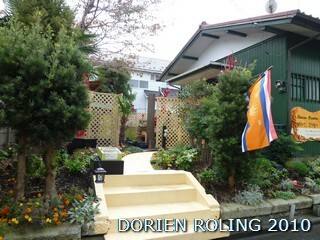 Entrance with Dutch flag . 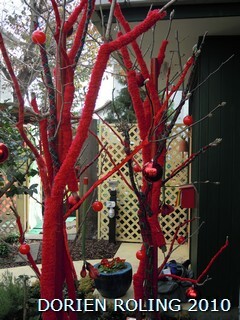 dressed up tree in red on the left side. is shinning with her snow top. 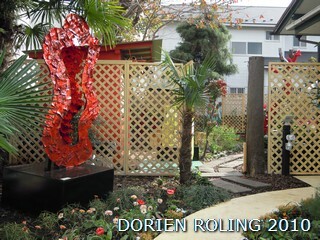 Event displayed in the garden of the atelier. 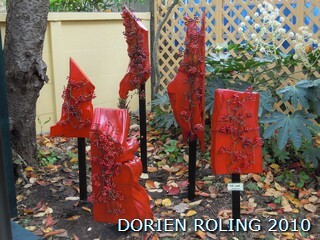 Photo; "RED WOOD" Made by Dorien Roling. and fixed on wooden stick. 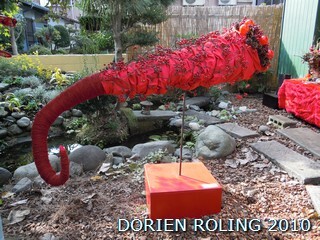 Smilax China red berry fixed with red rope. 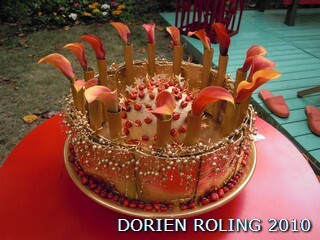 Photo: "GOLDEN WAVE" Made by Dorien Roling. 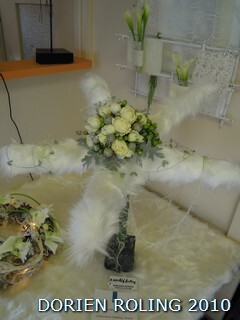 Betula skin with 240 white Gerbera. and give a smile to yourself. 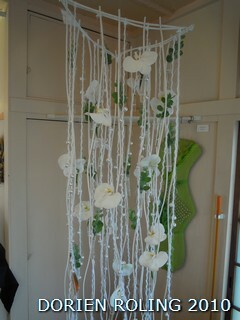 Design Contest best 3 . 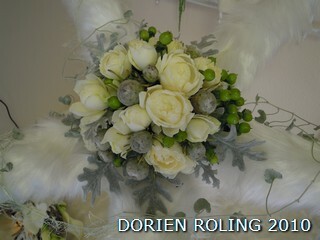 Photo: Dorien Flower Design Contest Prize 3 . 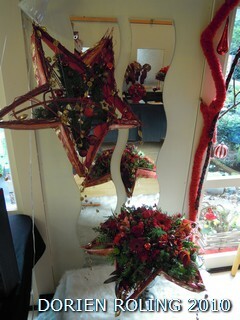 "Romantic Christmas" by Eiko Kaneko (ADFA Student). 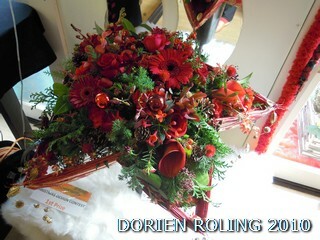 Photo: Dorien Flower Design Contest Prize 2 . 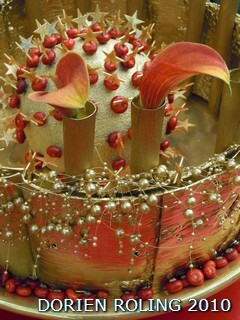 "Christmas Biedermeier" by Mikako Murase (Start course student). 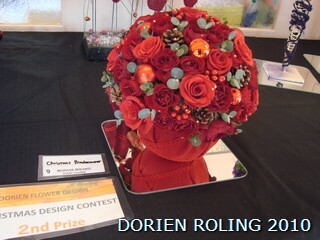 Photo: Dorien Flower Design Contest Prize 1. 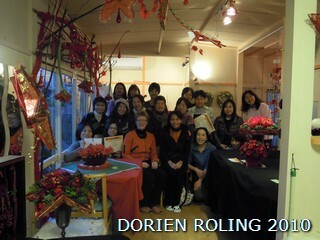 Photo: Dorien Flower Design Contest Prize Ceremony. the winners of the Royal Netherlands Embassy prize!!! 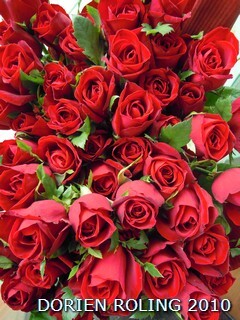 Have a nice Wednesday afternoon. 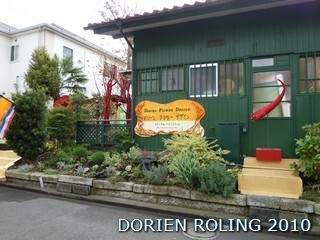 Contest / exposition was a great success. 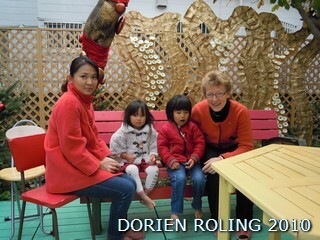 5 children joined the contest. 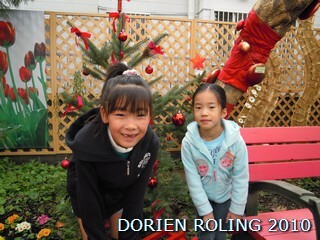 The Toriumi family made one design together. 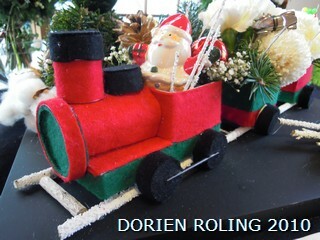 Toriumi Daigokun and Cocochan "Happy Train". 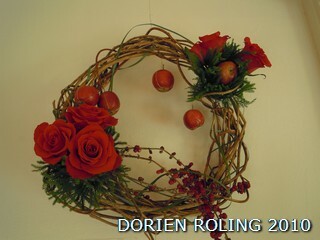 Kida Kohta kun "My apple wreath". 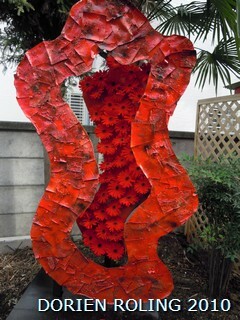 Thank you very much children for your nice designs. 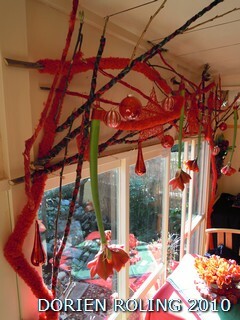 expo on 20 and 21 November. 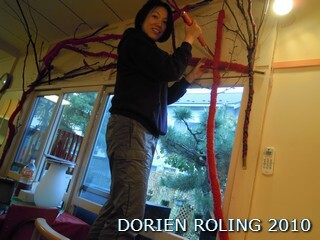 student to join the contest. 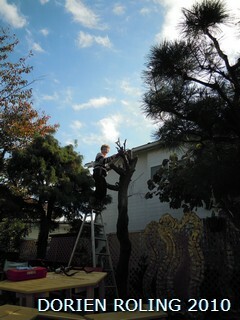 Photo; High and dry in the air I am decorating a tree. 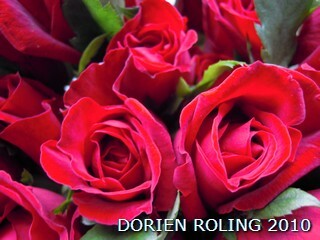 Photo; 50 red Rosa for my birthday !!! 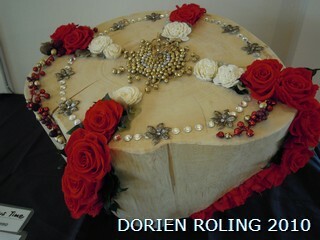 With love Dorien & Team.